Award Year: 1993 This project develops a strategy to fully integrate mental health and substance abuse (MH/SA) services into the medical care system. An alternative to the current complex and fragmented mix of public/private sector services and financing for seriously mentally ill persons and substance abusers will be outlined. The costs of full integration as well as the political, social, and clinical developments that provide the basis for mainstreaming MH/SA care are addressed. The project considers how full integration radically reshapes the existing institutions paying for and providing MH/SA care. The complex technical and political-economic issues that arise with full integration are studied in a concrete fashion through a series of six case studies of states. A state-level simulation model is developed, illuminating the effects of full integration on the affected parties. Richard G. Frank returned to his position as the Margaret T. Morris Professor of Health Economics in the department of health care policy at Harvard Medical School. Until March 2011, Dr. Frank was Deputy Assistant Secretary for Policy and Evaluation in the U.S. Department of Health and Human Services (DHHS). He is also a research associate with the National Bureau of Economic Research. Dr. Frank is engaged in research in three general areas: 1) the economics of mental health care; 2) the economics of the pharmaceutical industry; and 3) the organization and financing of physician group practices. Dr. Frank and his colleagues are examining competing strategies for organizing and financing mental health and substance abuse care under research grants from the Hogg Foundation, the Robert Wood Johnson Foundation, and the National Institute of Drug Abuse. Under grants from NIDA and the MacArthur Foundation, Dr. Frank and colleagues are studying the performance of social insurance programs for people with mental and addictive disorders. Dr. Frank's work in the area of pharmaceuticals has focused on drug pricing and the dynamics of competition. He has also conducted studies on the impact of prescription drug formularies and the economics of new psychotropic drugs. The third area of activity involves understanding the economic and organizational factors that influence the performance of medical group practices. Dr. Frank and his colleagues are studying the organizational, managerial and financial factors that explain variation in the performance of medical group practices. Dr. Frank serves on the Congressional Citizen's Working Group on Health Care. He advises several state mental health and substance abuse agencies on issues related to managed care and financing of care. In 1997 Dr. Frank was elected to the Institute of Medicine. He was awarded the Georgescu-Roegen prize from the Southern Economic Association for work on drug pricing, the Carl A. Taube Award from the American Public Health Association, and the Emily Mumford Medal from Columbia University's Department of Psychiatry. 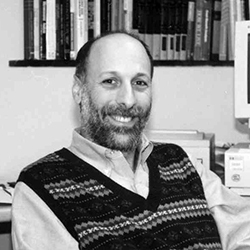 In 2002 Dr. Frank received the John Eisberg Mentorship Award from National Research Service Awards. His book, with Sherry Glied, Better But Not Well, Mental Health Policy in the U.S. since 1950, was published by The Johns Hopkins University Press in 2006. Frank, R.G., McGuire, T.G. Integrating People with Mental Illness into Health Insurance and Social Services, In Policy Challenges in Modern Health Care, eds. Mechanic, D., Rogut, L., Colby, D., Knickman, J. Rutgers University Press, 2005. Frank, R. Medicare Drug Prices and the Deficit. NEJM, Nov 3 2011, 365(18): 1657-59. Huskamp, H.A., Donohue, J.M., Koss, C., Berndt, E.R., Frank, R.G. Generic Entry, Reformulations and Promotions of SSRIs in the US. Pharmacoeconomics, 2008, 26(7): 603-16. Barry, C.L., Frank, R.G., McGuire, T.G. The Costs of Mental Health Parity: Still an Impediment? Health Affairs, 2006, 25(3): 623-34. Frank, R.G., Goldman, H.H., McGuire, T.G. Will Parity in Coverage Result in Better Mental Health Care? New England Journal of Medicine, 2001, 345(23): 1701-4. Frank, R.G., McGuire, T.G. Parity for Mental Health and Substance Abuse Care under Managed Care. J of Mental Health Policy and Economics, 1998, 1(4): 153-9. Frank, R.G., McGuire, T.G. The Economic Functions of Carve Outs in Managed Care. American J of Managed Care, 1998, 4 Suppl, SP31-9. Frank, R.G., McGuire, T.G. The Economics of Behavioral Health Carve-Outs. New Directions for Mental Health Services, 1998, 78(Summer): 41-7. Frank, R., McGuire, T.ÊSavings from a Medicaid Carve-Out for Mental Health and Substance Abuse Services.ÊPsychiatric Services, 1997, 48(9): 1147-52. Frank, R., Koyanagi, C., McGuire, T. The Politics and Economics of Mental Health Parity Laws. Health Affairs, 1997, 16(4): 108-19. Frank, R.G., Huskamp, H., McGuire, T.G., Newhouse, J.P.ÊSome Economics of Mental Health Carve-Outs.ÊArchives of General Psychiatry, 1996, 53(10): 933-7. Frank, R.G., Glied, S.A. Better but Not Well: Mental Health Policy in the United States since 1950. Johns Hopkins University Press, 2006.